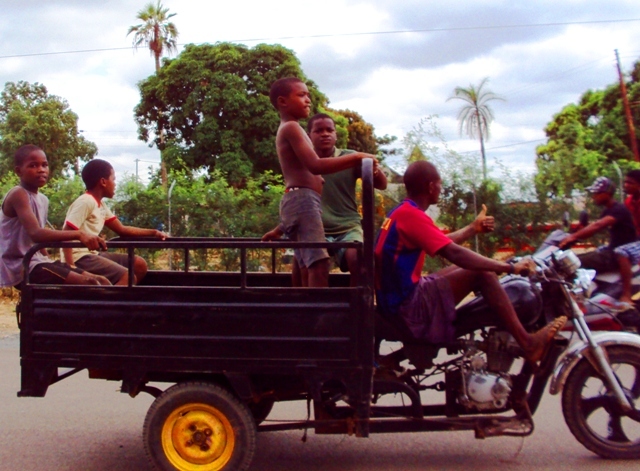 Cruising the streets of Caxito, the quiet and calm capital of Bengo province. UPDATE: This trip is now at full capacity. Come ‘Carnaval’ in Caxito, Tuesday March 4th. The Angola Field Group will escape Luanda and travel to Caxito, the capital of Bengo Province, 60 km northeast of Luanda, to take in some small town Carnaval festivities. The sugar factory as it is today. * Enroute we will stop at Panguila Bridge where the decisive battle for Luanda was fought in November, 1975. 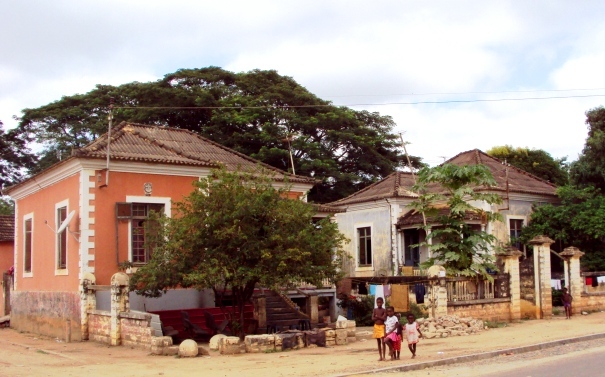 *Caxito used to be the biggest sugar producer in Angola thanks to the Fazenda Tentativa. We will see the remains of the sugar factory, supposedly dismantled by the Cubans during the war, and visit the new Tentativa Museum. *Just outside of Caxito we will stop briefly at the Sassa waterfalls on the Dande River before going to the NGO, ADPP’s Escola Professoras do Futuro (a Teachers Training School) to get a first hand look at their recent solar installation, reputedly the biggest in Angola. 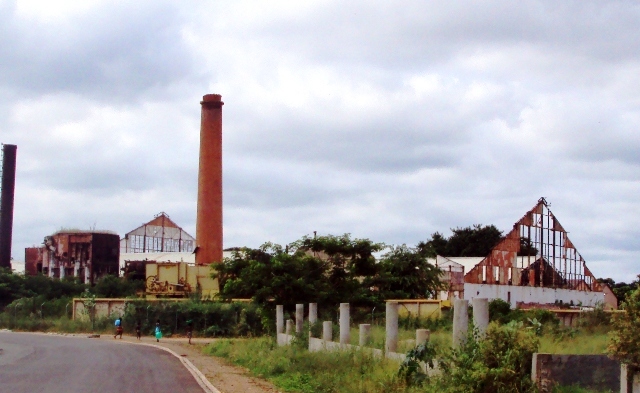 Some colonial homes still remain in the area of the sugar factory. This field trip is open to members of the Angola Field Group; must have valid passport with visa in hand. We will depart from a downtown meeting point at 7:30 am. Pack a picnic lunch and all snacks and drinks. We plan to leave Caxito around 5:00 pm. Please do not sign up for this trip if you are on a tight schedule. It is impossible to guarantee exact times and when we will be back. 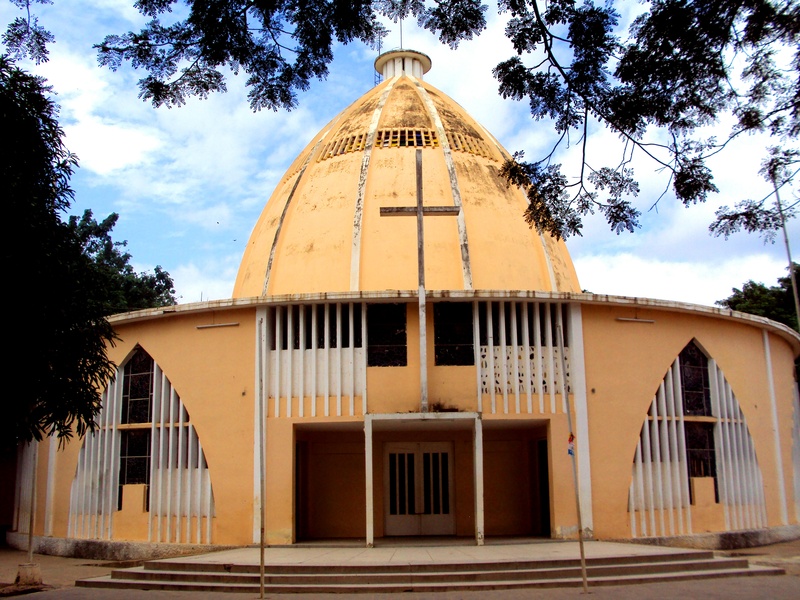 The new Igreja Santana, downtown Caxito. Photos courtesy Henriette Koning. 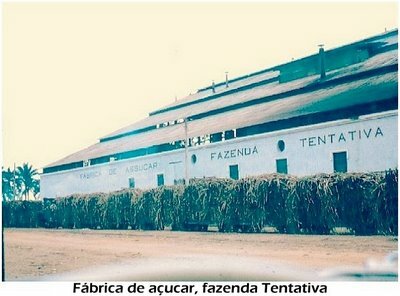 Sugar factory, Fazenda Tentativa 1974. Photo courtesy Luís Marques. The meeting point details will be provided after you have been confirmed for this trip. All Angola Field Group trips are at your own risk. How to sign up: Send an email to angolafieldgroup@gmail.com with: 1. the names of all the passengers in your vehicle and cell phone numbers. 2. Please state if you have room for any car-less individuals that want to join this field trip. 148 solar panels provide energy for ADDP Teacher’s Training complex. Photo courtesy ADDP Caxito.